It is perhaps my first time walking down the cobblestone streets of DUMBO (an acronym for Down Under the Manhattan Bridge Overpass) and each turn seems to reveal a picturesque view of the Manhattan Skyline. The Jacques Torres shop sends sweet smells of chocolate wafting over Water Street while the famous intersection of Water and Washington St. reveals the perfect New York snapshot: the Brooklyn Bridge towering at the end of the street, framing the Empire State Building and skyline beyond. Just a short stroll from this popular photo stop and I’m standing in front of Jane’s Carousel–an antique carousel dating back to the 1920s that stands right on the water’s edge of Brooklyn. The Carousel is closed today but it doesn’t matter; the contrast of the modern day sky rises standing in the backdrop of the centuries-old carousel can still be enjoyed. As I board the nearby East River Ferry, one thing becomes abundantly clear: there is so much of New York I have yet to explore. After four years of calling this city home, there are entire neighborhoods I have yet to venture out to–from parts of Brooklyn to areas in my own borough of Queens. Maybe one of the most exciting parts of NYC is that the exploration never really ends. Recently, I partnered with Journy–a new travel company that offers tailored itineraries to meet individual budgets, passions and interests. 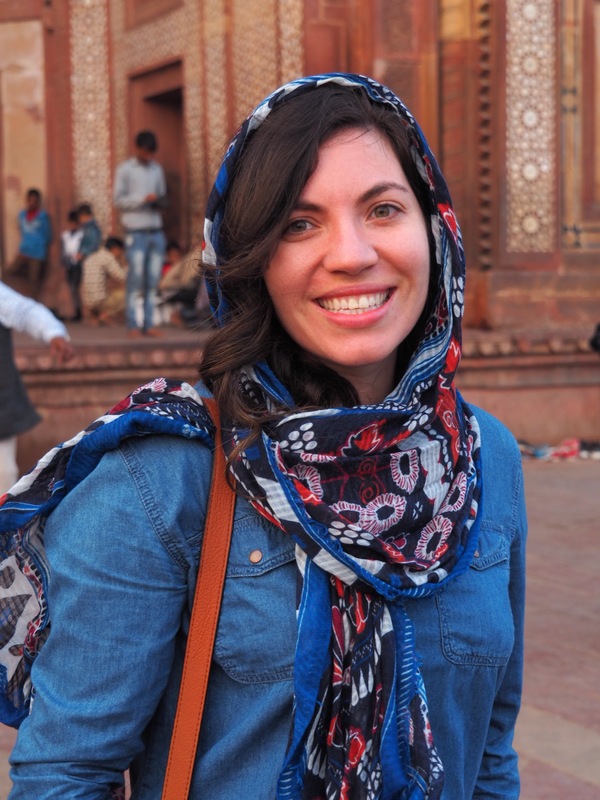 The custom travel itineraries include the best local restaurants, bars, accommodations, attractions and activities with the choice of a flexible schedule or a day-to-day plan. With curated recommendations from chefs, sommeliers, editors and local experts, Journy sent me a customized Brooklyn itinerary to give me a whirlwind introduction to this exciting borough. 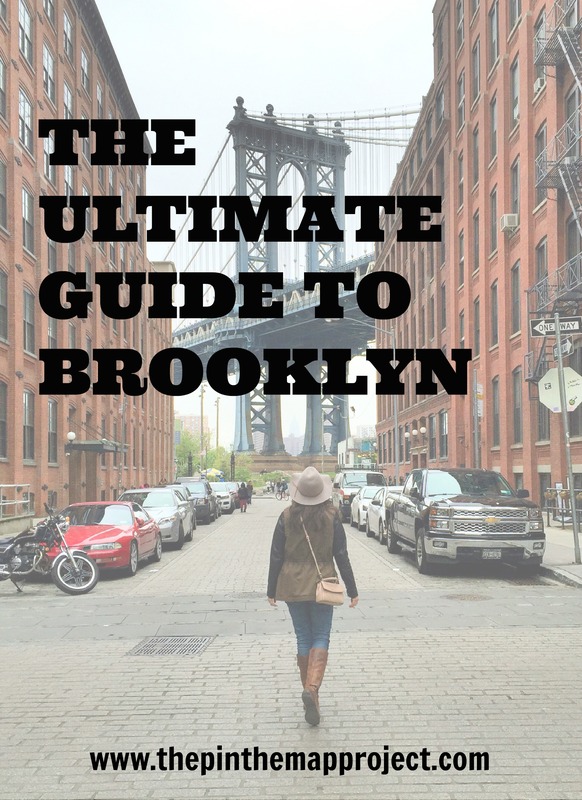 From Williamsburg to Dumbo to Bushwick, my Journy itinerary gave me the perfect introduction to this exciting borough. 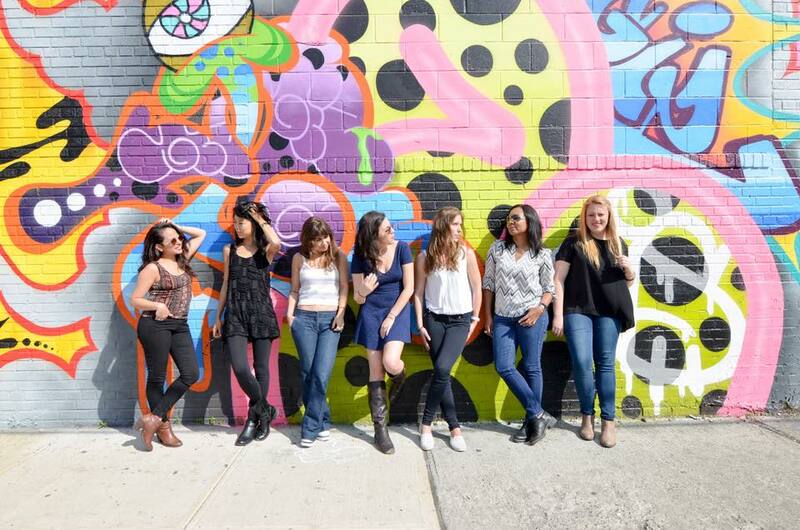 If headed to New York City, use code PINTHEMAP25 to get 25% off your next #GoJourny itinerary! Book here. Sure, you can take the A or C subway or order an Uber but for just $4 one way, you can sail down the East River and take in the Manhattan skyline too. The East River Ferry goes from Midtown (34th Street) to Downtown (Wall St.) with stops along Manhattan, Queens and Brooklyn. 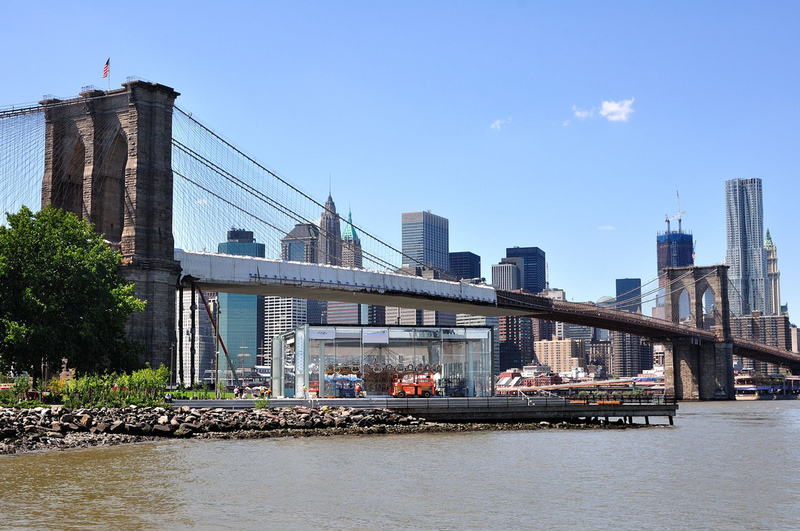 I recommend taking the quick East River Ferry ride to the Brooklyn Bridge Park/DUMBO stop first. One Girl Cookies (33 Main St): Considered an Instagrammer’s dream, One Girl Cookies is the perfect coffee shop for those coveted cappuccinos snapshots. 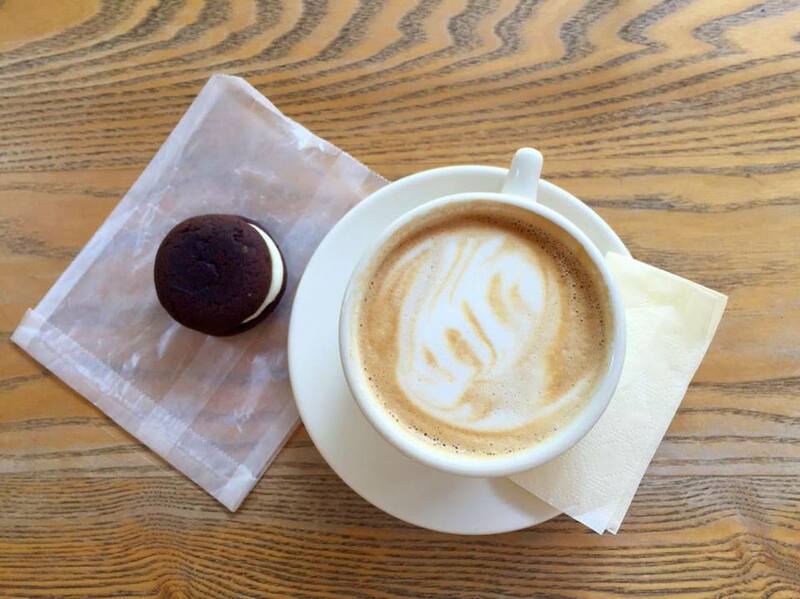 Located on Water St just a block away from the perfect Dumbo photo spot, One Girl Cookies is an excellent cafe to spend the afternoon fueling creativity with caffeine (and whoopie pies). Jacques Torres (66 Water Street): Once off the ferry, you’ll want to head down Water Street towards the ultimate photo spot. On your way, you’ll pass Jacques Torres, a chocolate shop that is definitely worth a visit. Try the Wicked Hot Chocolate (a spicy hot cocoa that gives a nod to Mexican hot chocolates) and have it topped with their homemade whipped cream. If you can handle a bit more sugar, snag one of the famous Jacques Torres chocolate chip cookies. After your sugar fix, continue to the intersection of Washington St. and Water St. for the perfect Brooklyn photo. Here, you’ll find a street lined by red-brick buildings that frame the Brooklyn Bridge towering in the background; beyond that (on a clear day) you’ll notice the Empire State Building framed by the Brooklyn Bridge with the Manhattan skyline and East River extending beyond. All in all, it is the ultimate New York photo to take. Be fair warned though, this is a popular place for pictures so plan to spend at least 10-15 minutes there waiting for the cars and people to clear the street and give you the perfect snapshot. Once you’ve snagged your perfect photo, walk straight down that street towards Brooklyn Bridge Park. If you walk up the steps there (trust me, you can’t miss it) you’ll get a perfect view of downtown Manhattan with the playful, yellow “YO” or “OY” statue on the lawn. Walk up the park (back toward the direction of the ferry) and you’ll come across Jane’s Carousel–an antique carousel dating back to the 1920s and encased in a glass, with a view of the skyline. Open or closed, the carousel is beautiful to look at and looks fantastic against the modern day Manhattan backdrop. 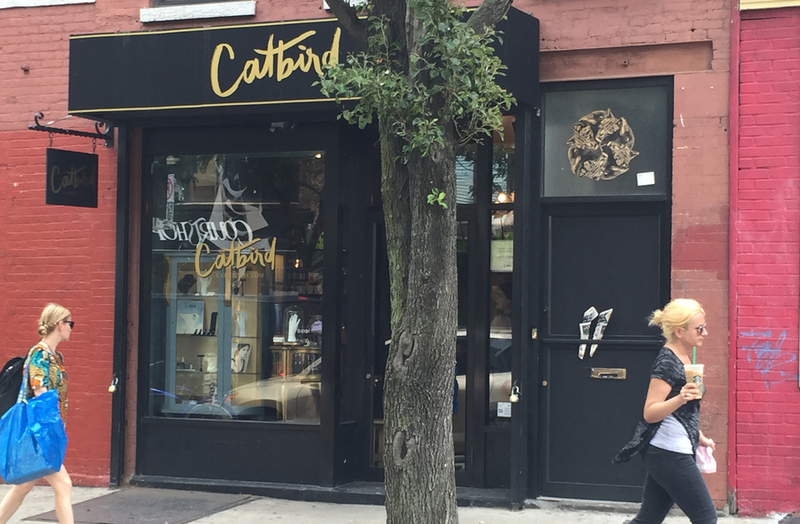 Catbird (219 Bedford Avenue): Catbird is a mecca for jewelry lovers and anyone who swoons over sparkly, charming knick knacks. Right across from Catbird is a string of vintage shops you can check out as well to bargain hunt for discounted designer threads. Maison Premiere (298 Bedford Avenue): Stop by Maison Premiere for a decadent snack of oysters and absinthe cocktails. The new backyard is a haven of hanging plants and antiques; lending the place a New Orleans’ French Quarter feel. Bedford Cheese Shop (229 Bedford Avenue): If you adore cheese as much as I do, then you’ll want to make sure to visit the Bedford Cheese Shop, an artisan store that is a haven for all things cheese. 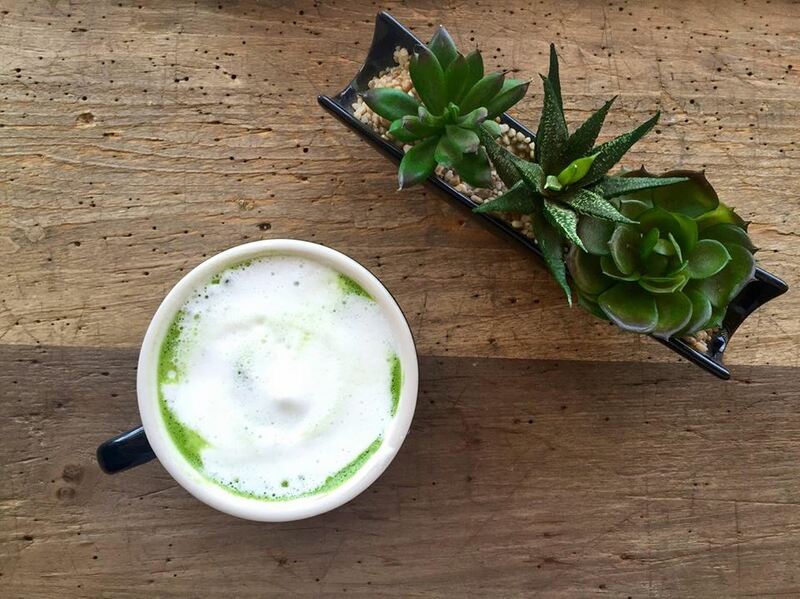 MatchaBar (93 Wythe Avenue): MatchaBar is New York’s first matcha-centric cafe. The Williamsburg storefront offers drinks made with the fine-ground tea, including hot and iced matcha teas, iced specialty drinks, and Matchaccino, a matcha “cappuccino” made with almond milk and vanilla powder that tastes like a remarkably creamy, full-bodied cup of green tea. Blue Bottle Coffee Shop (160 Berry St.): Okay, this coffee shop is one block over from Bedford Avenue but is worth a stop! Don’t even think about going to Dunkin’ Donuts on Bedford Avenue when there are plenty of fantastic coffee shops in Williamsburg to enjoy. Blue Bottle Coffee Shop is a trendy cafe serving great pastries and better coffee. 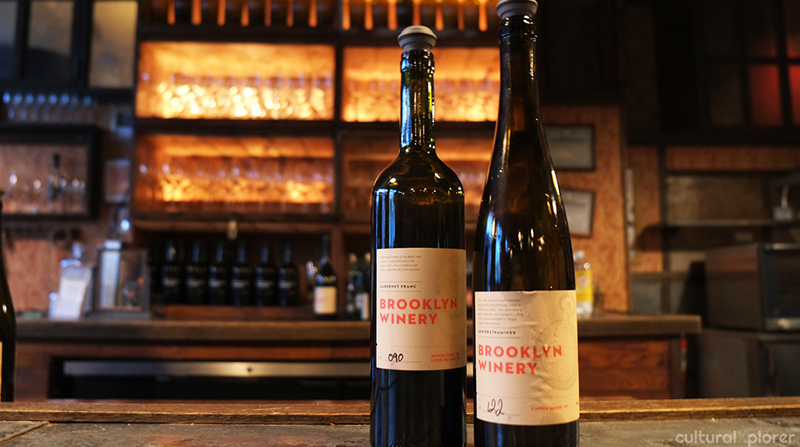 After exploring Bedford Avenue, head on over to the Brooklyn Winery where you can take winery tours or simply stop in for a drink at the winery’s wine bar. Happy hour is from 5pm to 8pm, so consider stopping by at this time for discounted wine and snacks. 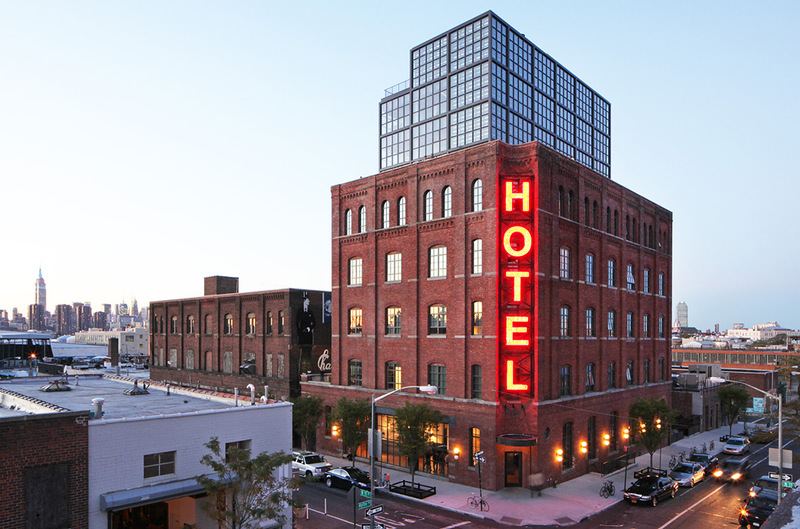 For the perfect ending to a day in Brooklyn, head to the Ides Bar on top of the Wythe Hotel for an unbeatable view of the Manhattan skyline at dusk. All kinds of creative types have been filing into Bushwick and a considerable amount of trendiness is trickling in from its ultra-hip neighbor to the west, Williamsburg. New dive bars, bodegas, and gallery spaces continue to flourish, fueled by the intrepid movers and shakers that are pouring into Bushwick’s converted loft spaces. 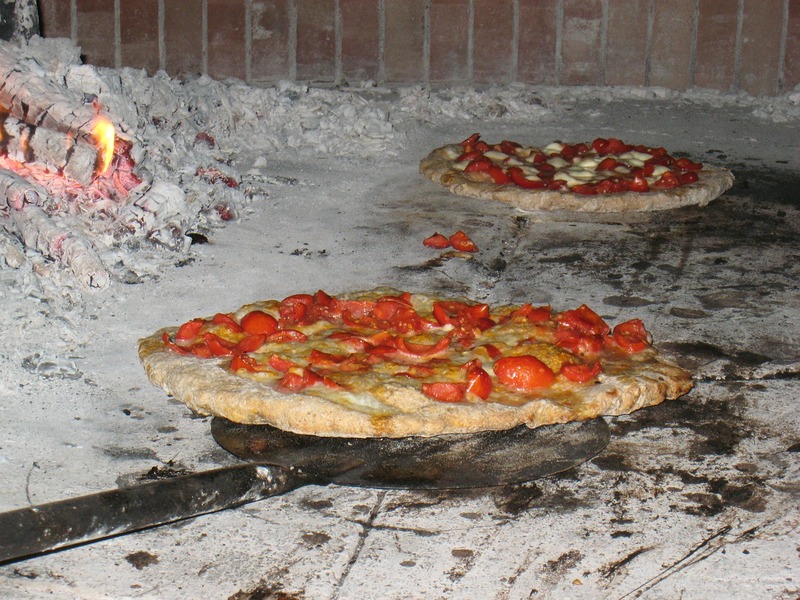 Roberta’s (261 Moore St): Roberta’s is a wood-fired oven pizza joint meets backyard tiki bar meets vegetable garden meets fine dining establishment. Serving up homey delicious yet innovative twists on Italian classics and killer pizzas, this restaurant put Bushwick on every foodie’s map. In the backyard, you’ll find a tiki bar, a garden where they grow their own vegetables, and Blanca, a separate 13-seat 2-star Michelin restaurant. Best to go early on the weekends for brunch (there’s typically no wait if you arrive by 11AM). Variety Coffee Roasters (146 Wyckoff Ave): Everyone knows that Williamsburg is ground zero for the hippest café culture in the city, but many popular spots are branching out into nearby Bushwick. Such is the case with Variety Coffee. After gaining a reputation as one of the top spots to grab French press into airpot brewed coffee, Variety decided to expand to include a roastery at this new, spacious location on Wyckoff Avenue. The reclaimed wood floors, custom wooden bar and chandeliers make this a great atmosphere for caffeinating and working (or people watch), while enjoying snacks from nearby Ovenly, and Ceci-Cela and Blue Sky Bakery. 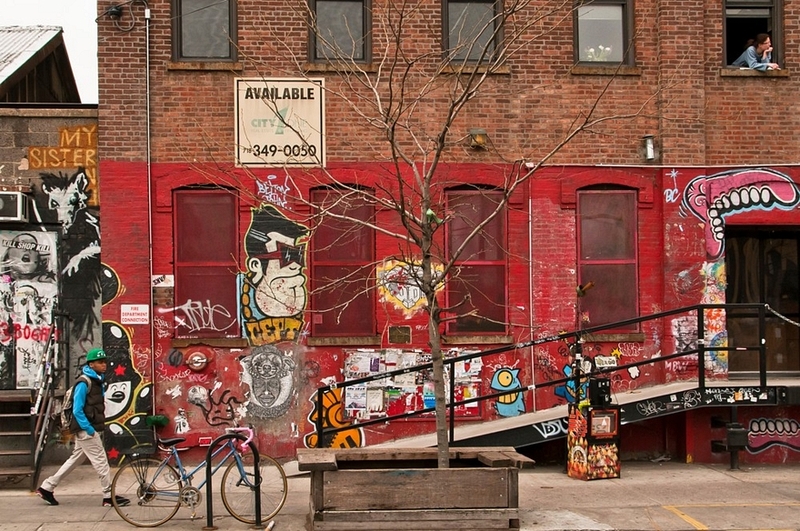 The Bushwick Collective: Located just off of Flushing Avenue, the Bushwick Collective is a living canvas with blocks and blocks of street art. While some naysayers may turn down their thumbs and cry out that graffiti is mere vandalism others feel differently about the artwork grazing the walls in Bushwick. The accidental curator of the collective is Joseph Ficalora, a Native of Bushwick and Brooklyn. In 1991, Joseph’s father, Ignazio Ficalora, was killed on the way home from the family steel fabrication business. He was murdered for a few dollars in his wallet and the gold chain he had around his neck. At the time Joseph was only twelve years old. A few years ago, in 2011, Joseph experienced another tragedy, the loss of his mother, who battled a brain tumor for four years.oseph is now learning to heal from his years of growing up in a dirty and crime-ridden neighborhood by transforming the neighborhood and the walls of Bushwick into a safe & hip outdoor gallery. The Four Horsemen (295 Grand St): Famed LCD Sound system frontman James Murphy’s wine bar, Four Horsemen, reflects a Scandinavian sensibility with a strong natural wine list and Nordic-style small plates. On weekends, you’ll likely spot him sitting in the dining room with his family, or tinkering with the soundsystem behind the bar. 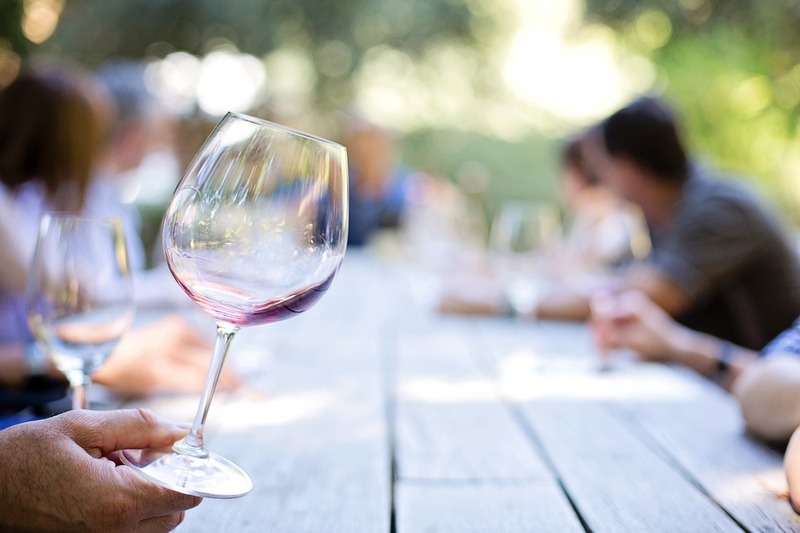 This, however, much more than just a celebrity-owned joint – the notable wine list and upscale and composed dishes are the main show here. Fish & Lobster Co. (141 Nassau Ave): It doesn’t get fresher than this. Greenpoint Fish & Lobster Co. is a retail seafood market and raw bar/kitchen where you can enjoy the highest quality sustainably sourced seafood. The company aims to keep both customers and fisheries well informed, and to provide an incredible seafood experience while working to restore marine and coastal ecosystems simultaneously. The moral of the story? You can feel 100% good about your fish tacos, daily oyster selection, and smoked bluefish pate. Budin (114 Greenpoint): Coffee by day and beer by night is the motto of this Scandinavian coffee house and design shop. With multiple in house roasters and an impressive selection of Nordic draft beers, Budin is ideal at any time of day. While you enjoy your preferred brew, browse the curated display of home goods from young Scandinavian designs as of yet undiscovered in the NYC market. ‘Budin’ is Icelandic for ‘the shop,’ and informs the Budin owners’ concept of creating something for everyone. There is much to see in Brooklyn–from the street art to the diverse food scene–and one day is hardly enough to hit all the highlights! 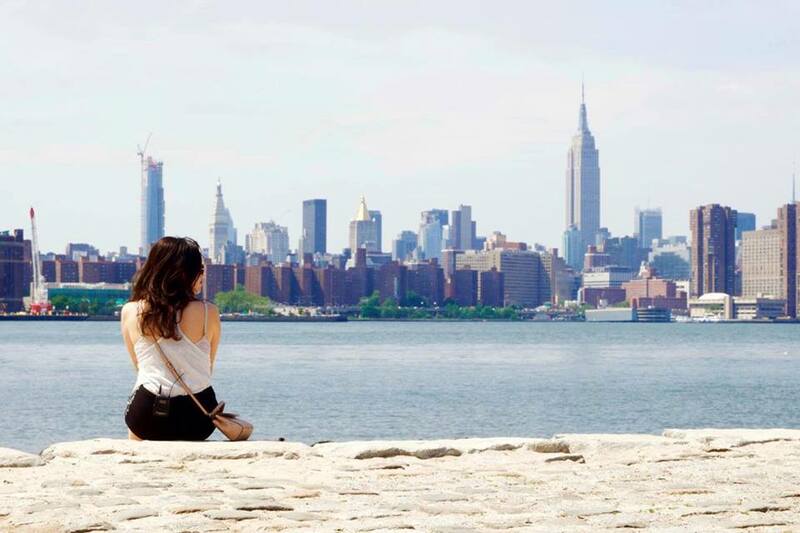 There’s Bushwick, Park Slope, Coney Island, Sunset Park and so many other neighborhoods in the borough that offer views, bites and sights that will steal your heart; but for your first day, this quick tour will give you a taste of Brooklyn that will leave you wanting so much more. 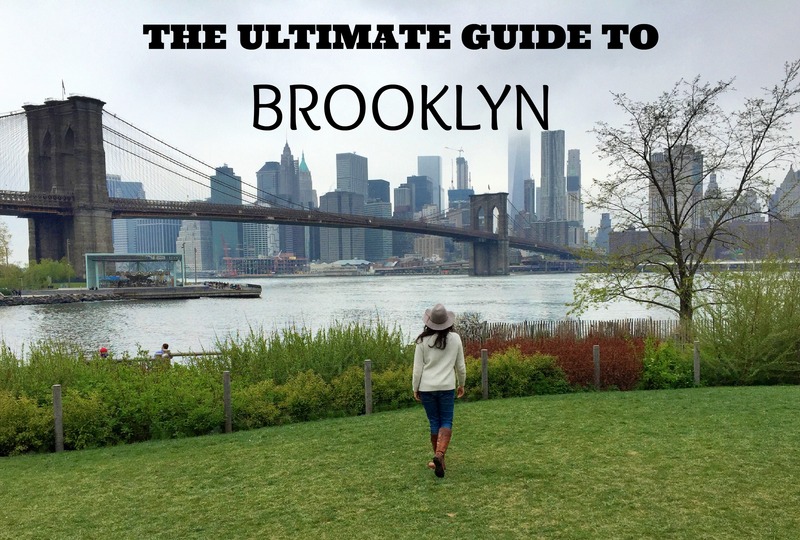 Have you been to Brooklyn before? Share you favorite places to visit in the comment section below! 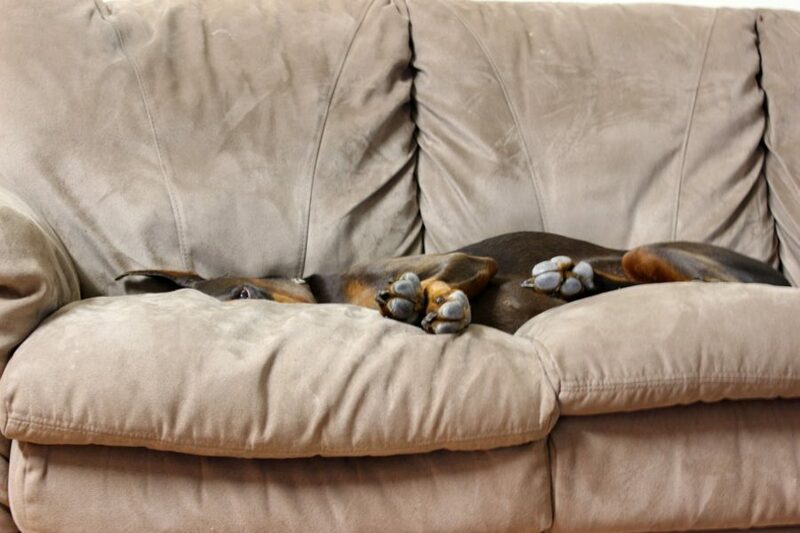 *In full disclosure, this is a paid sponsored post by Journy. 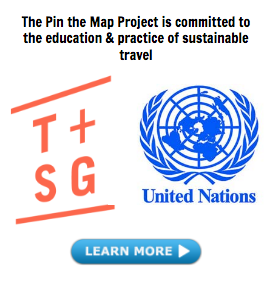 As always, The Pin the Map Project will only work with and recommend brands we 100% support. I’ve never been to Brooklyn but it’s definitely on my list- the pictures look great! I’m guilty of not visiting Brooklyn too much and I live right over in Queens! It’s an awesome borough and I definitely recommend visiting it when in NYC! I am guilty of exploring Brooklyn too and I’m right next door to it in Queens! It’s an awesome borough. I definitely recommend it! Brooklyn is one cool place! Would love to explore. Great guide, will be saving this for my next trip there!! Makes me want to book a trip!